Warm Up - Jog,skips,jockey,carioca, heel flicks, high knees, open gate, close gate, lunge, lateral lunge, squats, knee hugs, knee cradle. Player 1 stands in the athletic stance and waits for player 2 to point to a cone. 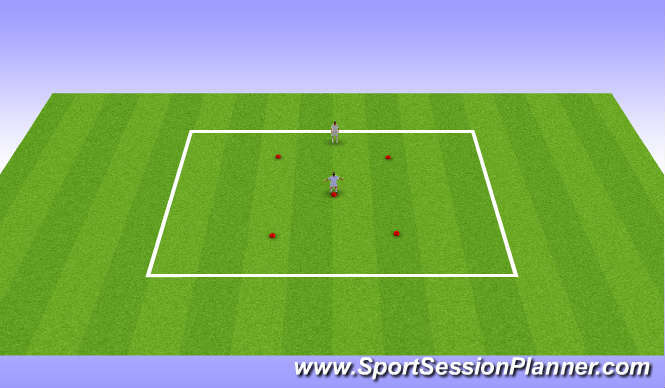 Player 1 must touch the selected cone as quickly as possible and return to the start position in the athletic stance. 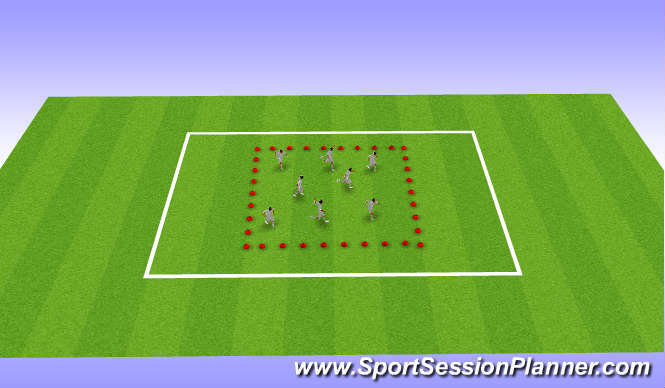 This is repeated for 10 second bouts with a 10 second rest then player 2 goes with a 20 second rest between the set. Repeat 3 times through.